Very few internet companies were born from the ashes of the dot-com die down and disaster. 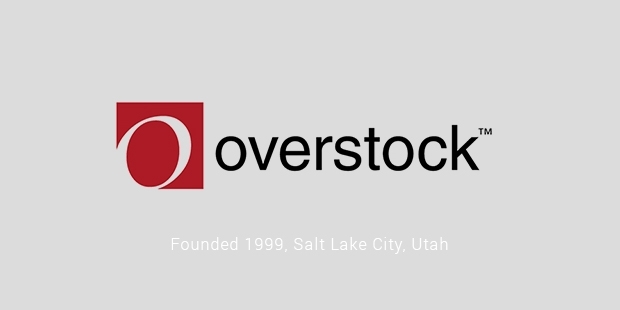 Overstock is a successful E commerce company based out of Cottonwood Heights, Utah, proved that innovative ideas were still possible despite what had surpassed. The company started out as D2-Discount Direct and sold excess inventory from different sources at a discounted price. The operations were being so badly managed that when the now CEO Patrick Byrne first stumbled himself in the role, he was dismayed. D2 had been founded in 1997 and had earned about $500,000 in revenue by selling excess inventory online first few years. The performance wasn’t impressive but there was something hidden in the general concept. Byrne was instantly enamoured. D2 was struggling financially and by this point Byrne had enough money to buy 60% share for about $36.7 million and immediately went to work. It didn’t take Byrne long to become frustrated the way the company was being run. He had learned business from his father and had grown up receiving nuggets of advice from the legendary Warren Buffet. Knowing that he had to step in, Byrne took over as CEO and renamed the company as Overstock.com. Within the first few months, he had turned the revenue from about $700,000 to $1 million. Overstock started by conducting its sales in two different ways, the Direct resale was where the company acquired excessive inventory and sold in on an e-commerce platform and the Indirect resale where the company sold excessive inventory stock from on behalf of other retailers. In a brilliant move, Byrne took the inventories of failing and struggling dot-com companies at greatly discounted prices and sold it for a profit to its customers at wholesale rates. In May 2002, the company went public and the IPO went for at $13 per share, earning Overstock about $39 million but around this time it also saw a loss of about $40 million. However, the company was heading towards record profits. After the IPO, Overstock started to earn a name for itself as a trusted e-retailer. Its direct reselling business was booming but with better reputation, companies like HP, Kenneth Cole, Samsonite, etc., started to utilize its services for commission-based indirect reselling, which Overstock had started to call Fulfilment Partner Revenue. This led to an upsurge in Overstock’s profits. Byrne focused more on expanding than making profits and due to this, the company didn’t consistently record profits in those years. For a while, Byrne was content to advertise via word of mouth of satisfied customers, rather than invest in professional advertising. He changed his mind about that later on, launching several marketing campaigns. The increased public awareness led to an upsurge in revenue and profits and by 2010, the company had earned its 1st billion dollars. Despite several lawsuits and accusations of misleading investors with promises of profits, Overstock is a successful company and was ranked #2 in US for Customer service by the National Retail Federation and Forbes listed it as one of the ten best places to work in America.